Many individuals have or will experience shoulder pain or suffer stiffness in the shoulder region that effects the upper arm. After back and neck pain, shoulder pain is the next most common musculoskeletal problem, which affect the joints and muscles. These problems tend to be persistent and half of the individuals that suffer pain in the shoulder will still experience these problems up to a year after it first starts. Due to the complicated nature of the shoulder and the close involvement with the neck, health professionals will often have difficulty in diagnosing shoulder problems. Common diagnoses are rotator cuff tear or strain, frozen shoulder, tendinitis arthritis, capsulitis, impingement syndrome and more. Nevertheless, if there is pain, especially due to injury, it should be looked at by a health care professional. There are just too many causes for pain, some requiring immediate medical or surgical intervention. For the purpose of this method of managing shoulder problems, we will deal with common musculoskeletal or mechanical causes. What Is Mechanical Shoulder Pain? This type of pain happens when pain sensitive structure(s) are placed in positions which overload, overstretch or compress the associated muscles, tendons and ligaments. 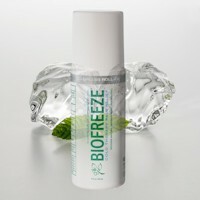 When a joint or other soft tissues are stretched, initially, there is discomfort. Stretching further brings about pain, which is your body telling you that continued or further stretching or overstretching will cause damage. If you heed this warning and stop stretching, no damage occurs. 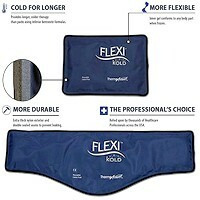 If not, overstretching can result in tearing of the tissues that maintain a stable shoulder, which continues even when the overstretching is stopped. This overstretching can result from missing a golf shot, quickly pulling a lawn mower started or falling on the arm. These are examples of unexpected causes of shoulder damage. However, as we will see, many causes are more insidious and preventable. How Is The Pain Felt? There can be days or particular times during a day when there is no pain felt in the shoulder. Pain may come on suddenly for no apparent reason and, just as suddenly go away. Pain may only be felt during certain motions, like when dressing, reaching up or back. 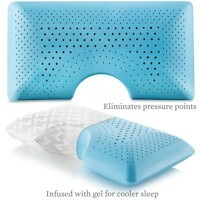 Shoulder aches and pains may also be felt constantly, to one degree or another. It may also be a cause of sleeping problems. It is a common cause for disability, medication use and affects daily life activities. While providing short term relief, treatments such as medications, injections, electrical stimulation and ultrasound normally do not produce long term results. Exercises are often used, however, stretching along with strengthening the shoulder does not always provide relief. 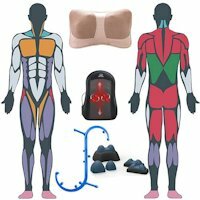 Usually, a combination of specific muscle therapy, a specific exercise program and heat applications work best. What Contributes To Shoulder Problems? While there are many reasons for shoulder problems, like injuries, the way you move your arm can be a contributing factor. Sustaining postures with the arms held up can make a significant contribution. Poor posture when sitting at a computer, driving or sleeping can also place strain on the shoulder, in addition to the neck. 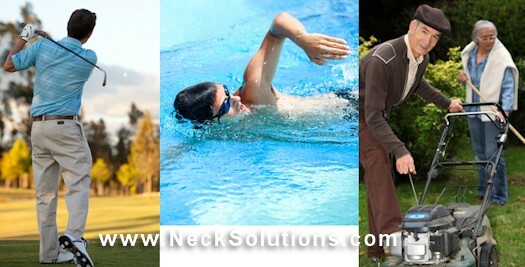 We know from information regarding effects of poor neck posture, that this may be a source of chronic pain and strain. Similarly, the same poor postures seen with the neck like head forward posture or slumped sitting postures place significant strain on the shoulder muscles. Just like neck problems due to sustained poor postures, recognizing correct posture and taking breaks can help in prevention. Sustained poor posture leads to overstretching and strain of the shoulder joint as well as the structures around the shoulder. This can cause shoulder weakness, muscle dysfunction and pain. 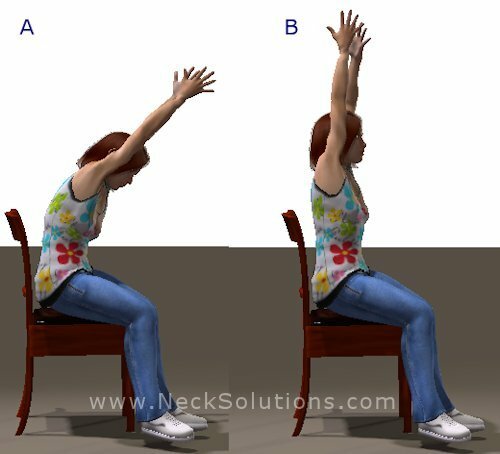 If you sit in a slumped posture (A) and try bringing your arms over your head to hold for a few seconds and lower, you should notice considerably more difficulty than when you sit in an upright, healthy posture (B) and do the same thing. This shows the effect that poor posture can have on shoulder pain. Even if the cause of your pain is from an injury, poor postures can make recovery take longer. Try this in a standing position and you should notice the same difference. Slouched sitting or standing is what we do most of the time without even realizing it, however, this produces a mechanical disadvantage that can play a role in causing shoulder pain, or having it persist. Typically, we do not use our shoulders correctly and rarely place the shoulder in a full range of motion. Couple this with poor posture and/or repeated motions and it can cause loss of flexibility, weaken muscles and make the shoulder more prone to injuries when lifting or reaching. What Are Other Influencing Factors? In managing shoulder issues, it is important to know which positions and motions are aggravating or prolonging shoulder pain. Motion using the shoulders over the head are harmful, resulting in overstretching, compressing and straining the shoulder. – Increased activity in working or using your arms in an overhead position. – Doing an activity such as a sport like golf or tennis that you have not done for a long period can overload the shoulder to fast for the shoulder to adapt. – Straining by not using proper lifting techniques and keeping loads close to your body or lifting in awkward positions. – Using poor equipment, like shears that are not sharpened to trim the bushes or not using a dolly or getting help to carry heavy loads. – One or more of these factors can play a role in causing or perpetuating shoulder problems. How Can I Manage Some Of These Factors? When the arms are held out in front of the body, out to the side or over the head, the shoulder is at its weak point and vulnerable to injury. Try to keep the arms close to the body. This can be done by managing the surrounding environment, like placing something on a table instead of reaching down. When working overhead, instead of reaching up with one arm, use a stepladder and keep your arms level. If this cannot be avoided, do the activity for a short time and take a short break when you start to feel strain or pain – pace the activity. It may take longer, but a 30 second break every 10 minutes can help to prevent not being able to do the activity because of shoulder pain. This short break is a good time to do some stretching that we will get into. We have discussed the relationship with poor posture and this provides a link between neck and shoulder pain as well as back pain, therefore, review proper posture for the neck as well as good back posture in sitting, standing and sleeping as we have outlined, as well as beneficial ergonomic interventions. Shoulder injuries must heal properly. As a result of tearing of the muscles, tendons or ligaments, a shoulder may become unstable and painful. Tears must heal by initially reducing inflammation and resting the damaged tissues. Improper healing can lead to poor scar tissue formation causing and shoulder pain and dysfunction. A method of restoring function is to gradually apply progressive forces, using certain shoulder pain exercises to strengthen the structures and restore flexibility, which is a functional approach to managing shoulder pain. We will also deal with individual shoulder muscles which can be problematic due to specific areas of irritation or shoulder strain, often called trigger points. 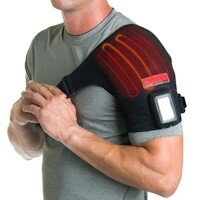 Management may also include the use of shoulder braces and heat therapy.